This kitchen design added a lot of character to a barn-like space. The upper cabinets make use of the height of the cathedral ceiling. 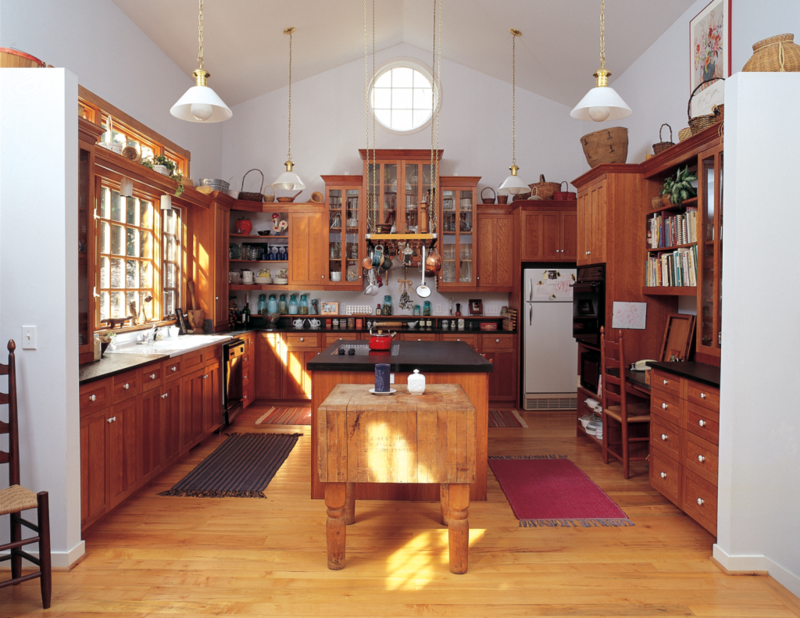 The straight lines of a large room are broken up with variety: cherry cabinets, open shelves, display cabinets, a hanging pot rack, and a prominent chopping block.